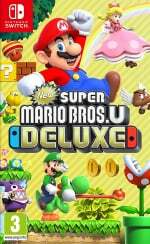 New Super Mario Bros. U Deluxe allows new and old gamers alike to experience New Super Mario Bros. U and the expansion New Super Luigi U with a few extra features on the Nintendo Switch. In addition to 164 courses and multiplayer for up to four people, there's now also the Super Crown, transforming Toadette into Peachette. Transforming Toadette in the game will allow you to hover in style with a floaty regal jump and stay out of harm's way. 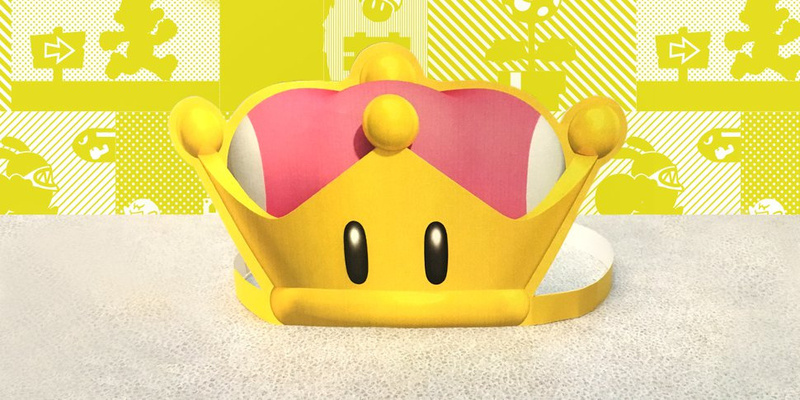 If you've ever wanted to take on the identity of Peachette yourself, you now can with your very own papercraft crown. Over on the Play Nintendo website, there are instructions and a printable design for a papercraft version of her Super Crown. In order to create this, you will need paper, tape and scissors. A colour printer wouldn't hurt, but you could always colour in the design yourself if you don't have this type of ink. If you have trouble downloading the print, try a different browser. And remember: if you're a kid, ask a grown-up for help! Will you be wearing this while you play New Super Mario Bros. U Deluxe on your Nintendo Switch? Tell us below. Pass. I have my Mario hat. Before anyone asks; no, this won't turn your pillow into Bowsette. now Nintendo just needs to add the super guide from new super Mario bros U into new Luigi U. then the deluxe version will be complete. That's alright @Kevember i already have my Dead or Alive body pillows from years back. Yes! Self disclosure: I play SMBUD with Toadette because it's more fun and because of the archaic saving system that sets you back to the last cleared castle when you have no lives left. @Heavyarms55 Do it! They'll love it! @Spidey-Scrub I'd be okay with this. Someone should send one to Charles Martinet, then the real life Luigi can finally be free. This would be perfect for an april fools video.